I've nicked the idea for today's post from the magnificent Swede. I won't even pretend that I put an ounce of original thought into today's 250 word offering. I couldn't even be arsed to come up with a different way of holding the sleeve up for the photo shoot; it's basically an original high quality Swede garment with the designer label ripped out and my own (inferior) brand stitched poorly into the back of the neck - the kind that'll make you itch like a man on a fuzzy tree. So, the Sweet. What can I say about them that I haven't bored you all to death with a million times before? 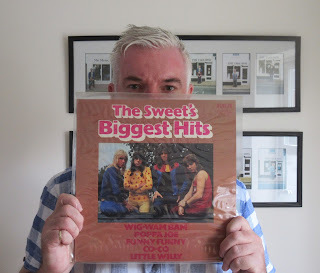 Suffice it to say that The Sweet's Biggest Hits was the first album I bought with my own money. And in 1972 that was a whole hill of beans, well £2.18 anyway. And I played it ten times a day. Minimum. Why wouldn't I? Unlike singles which needed flipping over every three minutes (a bit like pancakes) RCA Victor SF 8316 (I still remember the catalogue number) would play for nearly twenty whole minutes before I had to drag myself off the bed and put the needle on the other side. And I love the way it's called Biggest. It stops at Wig Wam Bam: less than four weeks after its release they would put out Blockbuster (#1), closely followed by Hell Raiser (#2) and Ballroom Blitz (#2). Now they were big: combined sales of those three singles alone was in excess of 1,000,000 copies (and that's just the UK): monster big. Anyway, I'll be keeping an eye on Swede Towers and see if I can't recycle some more of his ideas and cut and paste them over here. Keep 'em peeled. Well, I had to do a double-take there! This could be a new viral phenomenon. 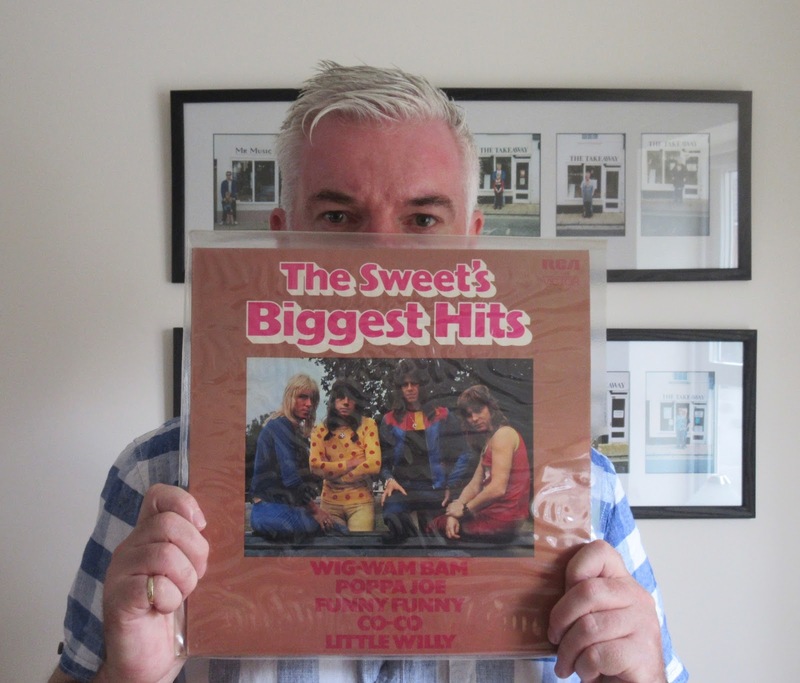 Actually, it would be really lovely to see photos of everyone holding up one of their treasured old albums and taken in this style. What have you started, TS?! I would love to see you do it C. However, Swede's legal people may have something to say. I think C is right, we've suddenly all become a bit less anonymous of late so why not go for the full Monty with the album shot as well (figuratively speaking of course) - TS's legal team will be kept busy for years. Just remembered that as part of PE in the early '70s we had to choreograph a gymnastics routine to Blockbuster. Best lesson ever! 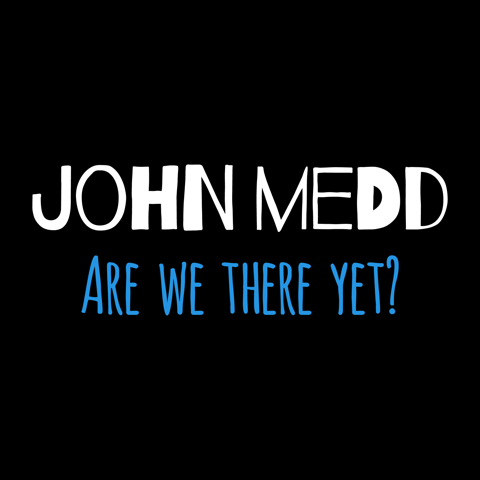 Sounds like it could be up there with Pan's People shimmying to Bankrobber by the Clash! You are right although we didn't have the bank robber striped shirts - That was a really truly awful piece of literal choreography.